If you build it they will come – we took this literally and see what happened! The original quote form the movie ‘Field of Dreams’ was ‘If you build it he will come’ but you’ll forgive us at GGS for the slight change to suit our needs! Our business continues to grow and continues to seek innovations for our clients that will really make them stand out from the crowd. 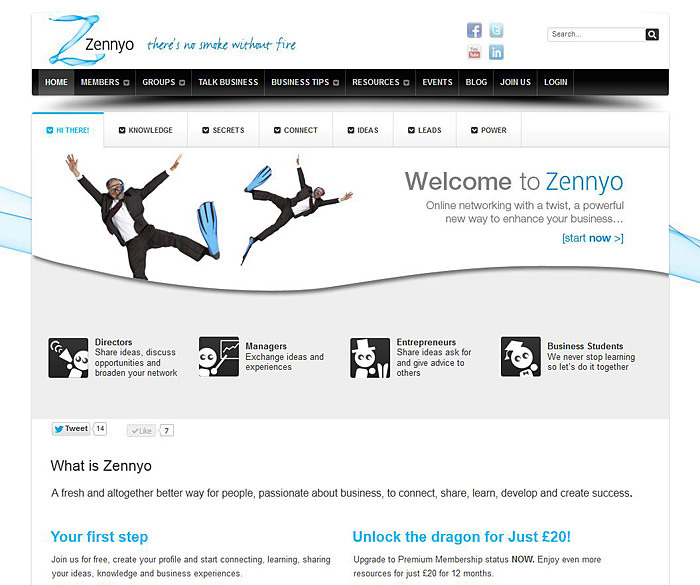 The latest example of this approach is Zennyo.com which is well worth a look, not just because GGS designed and built it but because Zennyo can be a great benefit for you. Now it is live we want you to register on the site to get some real benefits! The site is the concept of Norfolk based entrepreneur, author and speaker Chris Batten. He approached us in the summer to turn his idea into a functional and attractive site and that is exactly what we delivered! If you take a bit of time to talk to Chris ([email protected]) he will share with you his vision for the site and why he believes the site is needed by people in business and those that aspire to be in business. At GGS we have taken an active role in the development of the site because we too believe in the message that Zennyo is communicating. How you use all of the above. The site works as an online mastermind group, made famous by many notable business successes through the ages and as a central ‘innovation factory’ and think tank for people passionate about business. Once you have registered you can join or start business related conversations all designed to demonstrate your expertise, discuss, share and learn to help you on your journey. It goes one step further, it also links students of business to real live business people which benefits all; giving the students a window into the real world of business and those already in business a chance to look at the talent of the future and even learn some of the latest business thinking.